Antivirus software products block malware from entering your computer system. When security software is unsuccessful at preventing attacks, it is then supposed to detect and remove the malware that gets through the defenses. If you begin to analyze all of the forms of malware and all of the potential entry points, it quickly becomes quite complicated and confusing. You can reduce the complexity of shopping for virus protection by asking a few key questions. How does the antivirus software perform in third-party tests? What features does it have that pertain to my needs? Does it provide support during the times I will need it? 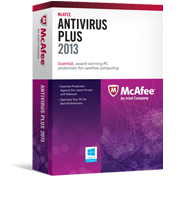 On this site you will find independent comparatives of Anti-Virus software. All products listed in our comparatives are already a selection of some very good security products. We have personally tested these antivirus software on our simulated systems and we have compiled the data accordingly, which you can view below. Our tech team has several decades of combined antivirus experience, thus enabling them to be extremely proficient in their respective field. A computer virus is simply a program or program code written like any other software. It contains the same type of binary code written in beneficial computer software. It is called a virus because it replicates itself because it is copied to another program already loaded on your PC. Each virus has a signature, or code that is written in a precise manner which can be recognized as being different than normal programming code that is recognized. A virus can infiltrate your files and infect your whole operating system. Any virus on your operating system can wreak havoc with your PC. A virus can cause files to become corrupted and unreadable or cause the PC to suddenly crash. It can also cause you to be unable to boot your system up. Any operating system is susceptible to viruses but computers using Microsoft Windows as the operating system is the most common. But that probably is because Microsoft Windows is by far the most common operating system loaded on Personal Computers. Many people are confused by the antivirus and firewall as one but these are two different programs having their own unique capabilities to protect your computer from intrusions and virus. A firewall gives protective cover to your systems while blocking access whereas antivirus locates any virus, scans the system and removes it. Many of the companies incorporate both the features of the antivirus and firewall making it most adequate antivirus firewall software to give your computer full protection. Firewall works in two different ways- it first analyzes and then checks to see if the information in the data is complying with the rules which could be configured. The analysis is done to know about the IP address it is coming from and the content which it has. The program also shows whether application is able to send or receive the data through the port it is connected to. The only time that you can safely say that your computer is safe from attacks, malware, and viruses is when your computer is either off or disconnected from the network. But, since such a computer is practically useless for the tasks of the modern-day workplace, connecting to a local network or to the Internet has become a necessity. Is there a way for your online life to remain safe and healthy? One important way is to use antivirus firewall software. Antivirus firewall software often comes as a bundle of separate programs packaged into one security suite. 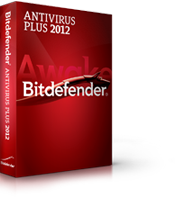 Though, there are antivirus programs that can be installed as stand-alone applications. There are also stand-alone firewall programs that can replace the bundled basic Windows Firewall that gets installed with recent or updated versions of the Microsoft Windows operating system.